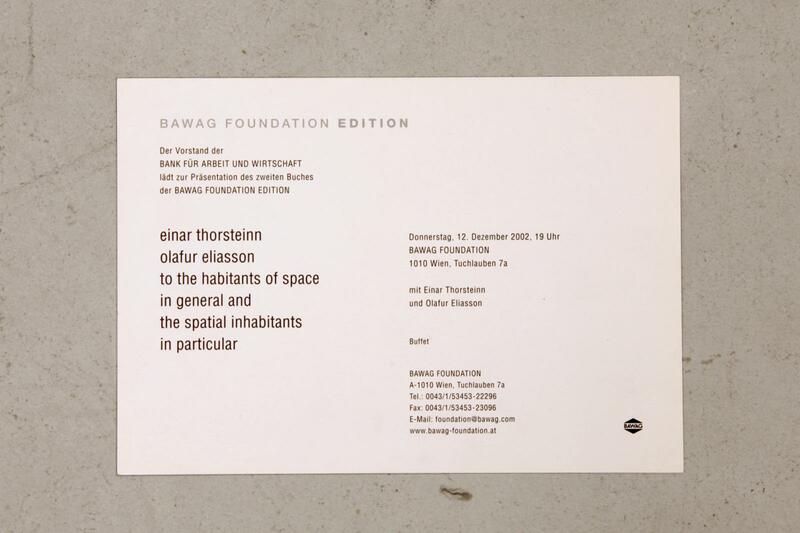 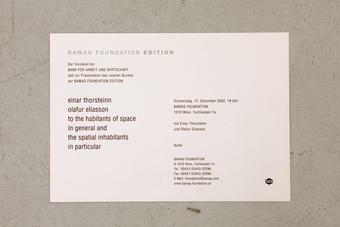 Conceived by Eliasson and the Icelandic artist and geometrist Einar Thorsteinn, this independent publication presents the authors’ collaborations from 1996 to 2002, inspired by geometry and modelling. 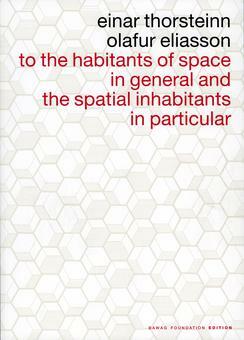 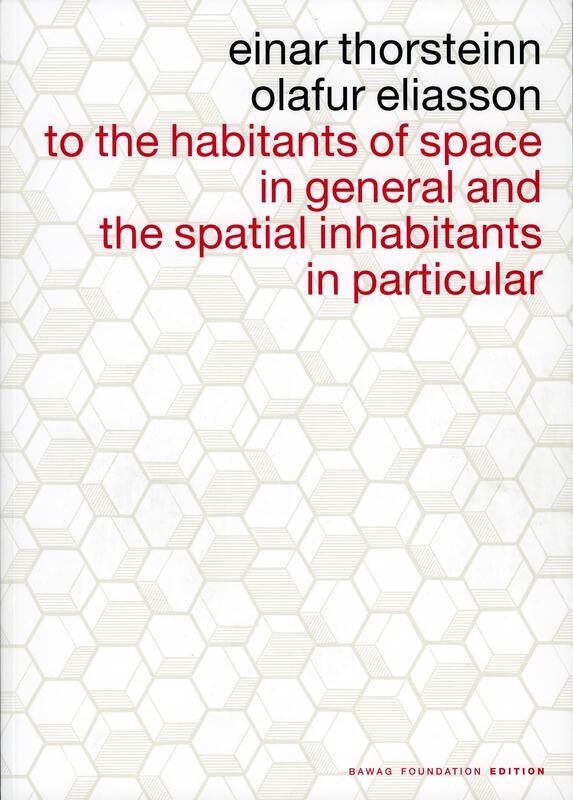 The book offers research material from the various projects, including drawings, models, photographs, cut-outs, photocopied pages from books and newspapers, technical plans, and texts by Thorsteinn that make intelligible the mathematic principles and interests behind the works. 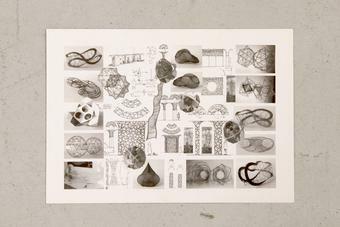 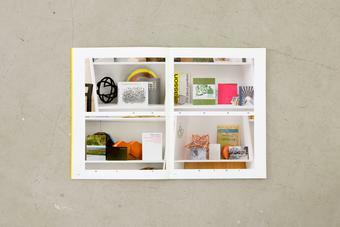 The composition of the book is based on the collage format, Thorsteinn having put the photocopied pages together with the graphic designers Andreas Koch and Sebastian Fessel.